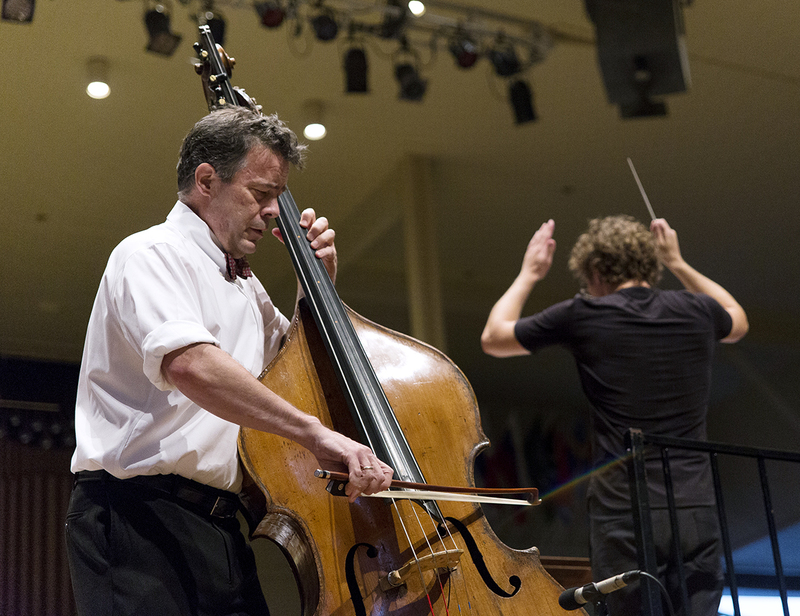 Here's a picture from a concert I did with Edgar Meyer last summer. Although he's slightly rotated to the left, notice where his shoulders are and the slight internal rotation on the right side. 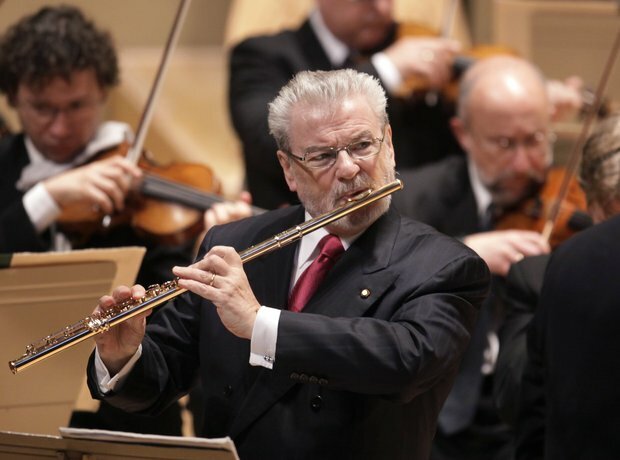 James Galway, courtesy of ClassicFm. Even with the best of postural intentions, it's easy round the upper body, bring the shoulders forward, and internally rotate the arm bones. Moving into the woodwind family, the flute is one of the most asymmetrical instruments. Although the optimal position for playing flute has been discussed by many people, it's certainly a challenging instrument for shoulder, neck, and spine position. Even with the most embodied, aware flutist, the position is certainly a tricky one, and can easily lead to some challenges in the pectorals. Let's take a look at why. This woman's arms are already internally rotated, meaning that as she lowers and lifts her body, her arm bone is just going to move further and further forward, and her pecs will just contract further, but not helping to actually balance her shoulder. Ah, stock fitness photos.